How do I tell my parents I’m a communist? Home > CPUSA Mailbag > How do I tell my parents I’m a communist? There's not one single answer to your question--rather, it involves recognizing risks and benefits, then making a decision that fits your case. Going public as CPUSA members can help build mainstream acceptance of our party and its goals, but it comes with some risks--even now, when public support for socialism is on the rise. Most of us are careful about how and when we tell people about our membership. Here's some advice from members and organizers throughout the country. We aren't like other parties. We are a party dedicated to the overthrow of the capitalist class in this country. The propaganda against us is not the same as it is for others, and so reactions are different and can carry more severe consequences. We should be open when and where we can, but if you have to ask, it might be better to not disclose your membership. Good for the young person who wants to be open about their membership, but not everybody is in a position to do so--and not just for family reasons. Although the Supreme Court long ago struck down the worst anti-communist legislation, there are still some restrictions (on non-citizens and labor union officials, for example). 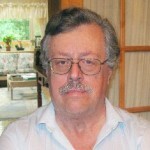 Some states may also have anti-communist laws on the books. Given that Trump will be appointing a whole bunch of new federal judges, including to the Supreme Court, and will be advised in this by Sessions and Miller, we can't rely on courts ruling these things unconstitutional. Telling your parents isn't the same as shouting from the rooftops that you're a communist. It makes sense that you want to share something meaningful to you with your family. There's some coming-out advice from LGBTQ groups that might be useful: don't come out to your parents by introducing your date. Make it about you and who you are. Same thing goes here. Are you already involved in progressive causes? Do your parents already know about your political beliefs? Be open about those before you talk about joining a party or organization. That will help your parents see that this is about you, not some outside influence. Hope this helps. We look forward to welcoming you to CPUSA! 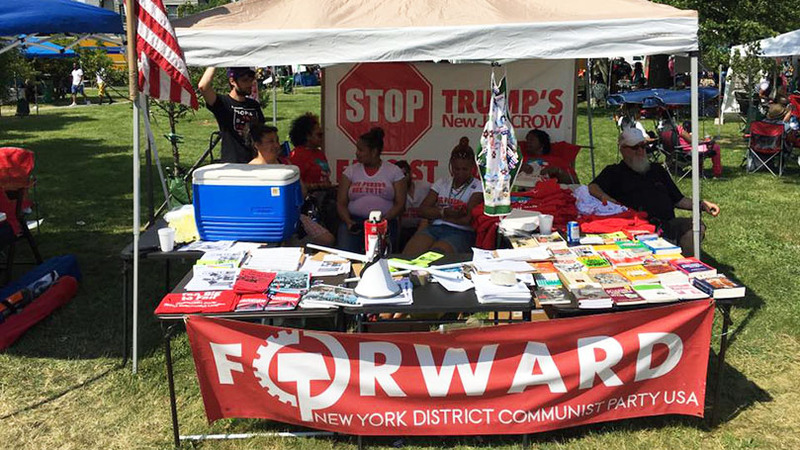 Image: Members from CPUSA's New York district tabling at the Juneteenth celebration in Buffalo, NY (2017).